What do you look for when choosing a luxury resort? Is it the location, the pool, the rooms, food or price? Or are you the kind of traveler who loves being pampered and treated like a king or queen? 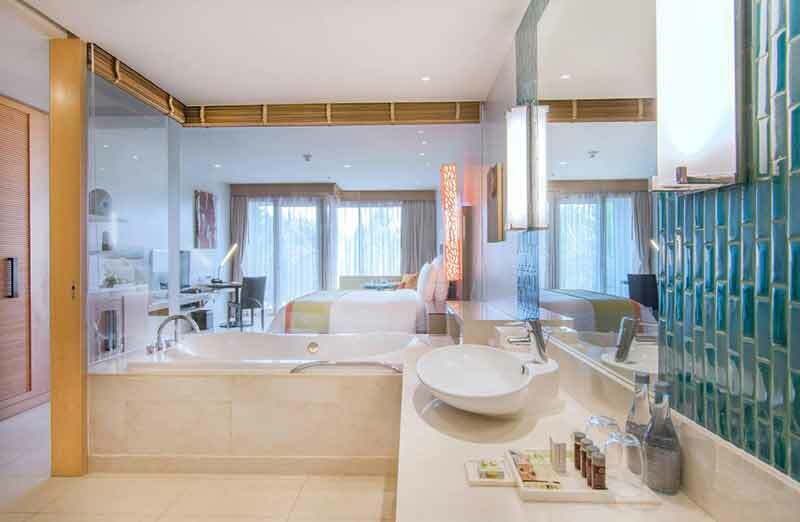 Call me weird but when I choose a luxury resort, the most important thing of all for me is not the size of the room or the skill of the chefs but what I look for is whether or not the bathroom measures up to my expectations. There’s nothing better than sinking into a huge spa bath or walking into a luxurious bathroom that makes you feel like a princess. The aesthetics and design of the bathroom is paramount. I love a light bright airy bathroom with designer touches so bathroom design is huge for me but I also like my home comforts, so the bathtubs, toilet seats and shower heads are just as important. Well, at least they need to be better (or at least equal in quality and design) to what I’m used to at home. So, based on this, here are my top 5 Phuket hotels I love. Being close to Layan Beach is one of the benefits of staying at Anantara Layan Phuket Resort, which also has a pretty cool spa and outdoor pool. The outdoor activities, such as canoeing, windsurfing and snorkeling are fun. With sea views and an enviable beachfront location, The Nai Harn sits on a hill looking down at Nai Harn Beach. Activities include spa, swimming in the outdoor pool. 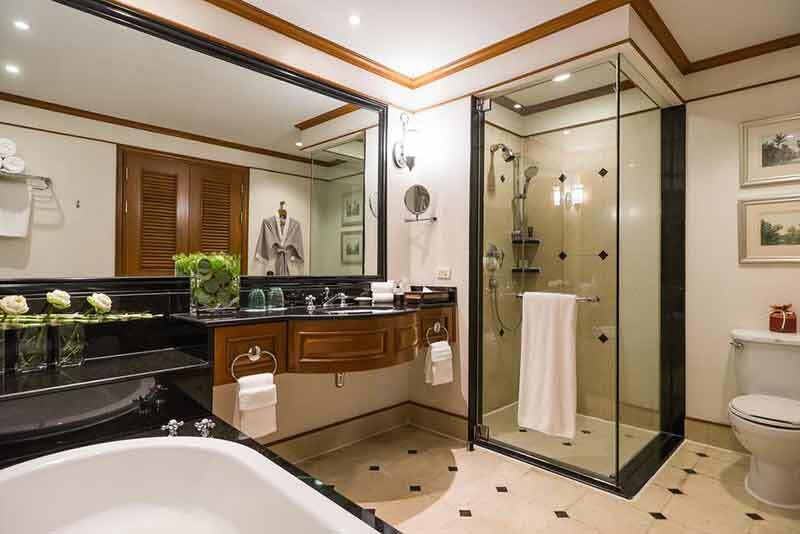 Bathrooms are plush and come with lovely designer toiletries. A bonus: the barbecues on the balcony for days when you just want to cook yourself. One of the best things about JW Marriott Phuket Resort and Spa is it has access to Mai Khao Beach. Other recreational activities include visiting the turtle sanctuary on the hotel’s grounds, luxuriating in the spa, cooking classes, Muay Thai training and yoga lessons. The resort has three swimming pools and 11 restaurants. 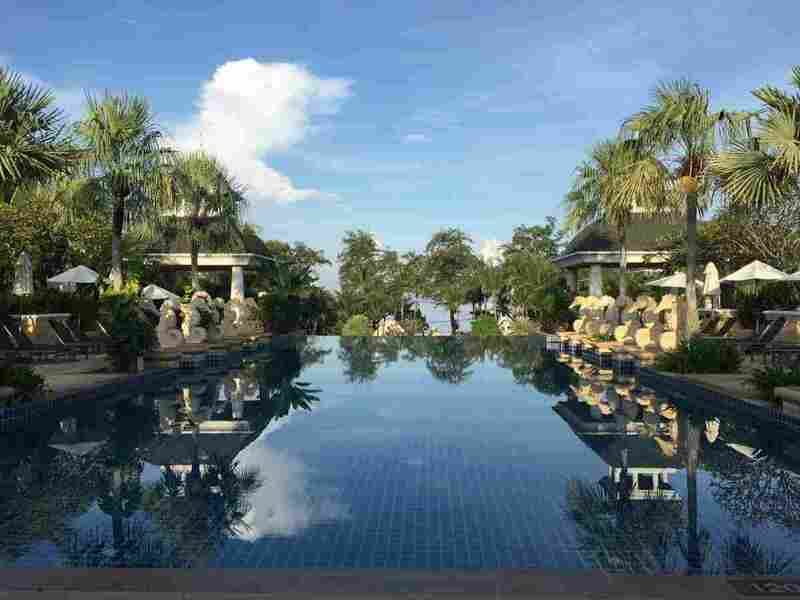 Also on Mai Khao Beach, Renaissance Phuket Resort & Spa has a lovely pool and jogging and biking trails. The five restaurants serve amazing meals. Activities include yoga, pilates and Thai boxing. 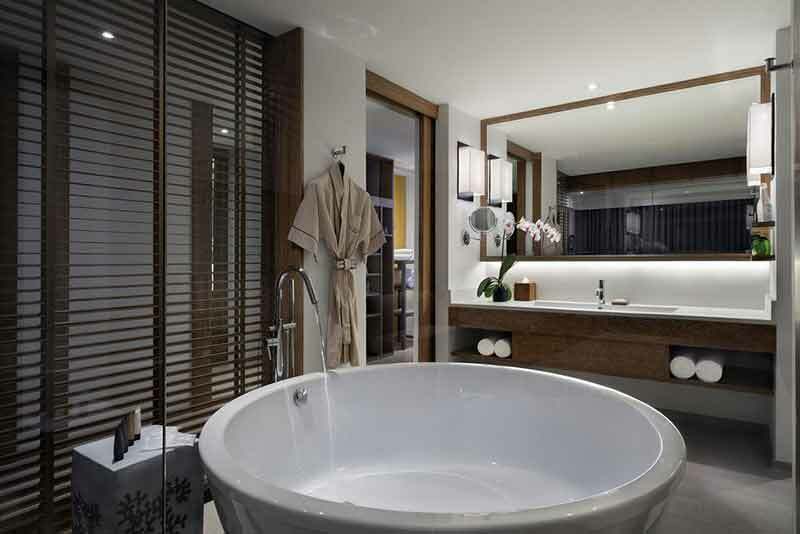 Floor-to-ceiling window allows plenty of light into the luxurious luxury bathroom, which has separate bathtub and walk-in shower along with premium bath amenities and designer toiletries (my favorite is Aesop). My favorite is the Pool Villas because the swimming pools are private. 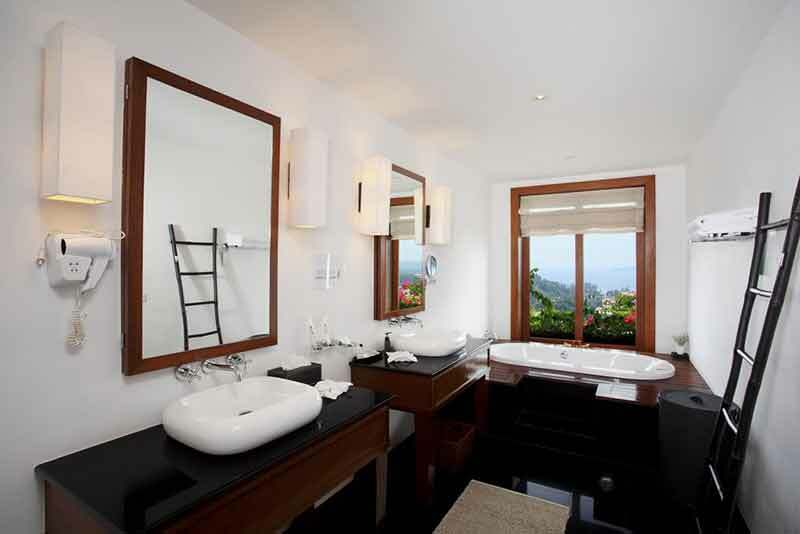 Baan Phu Prana Boutique Villa looks down upon Surin Beach and Phuket’s west coast. The outdoor pool on top of the roof is amazing and it’s a great place to run away for a spa vacation and exercise at the gym. The beach also has diving and snorkeling. Are you looking for the kind of vacation where you don’t lift a finger to do anything? You know, the kind of vacation where there’s no need to pull out the vacuum cleaner or use the oven. Even better, picture a private villa where there’s someone to wait on you hand and foot: a butler at your beck and call to serve cocktails by your own private pool, which of course comes with staff to do the pool cleaning. Well, you’re in luck. 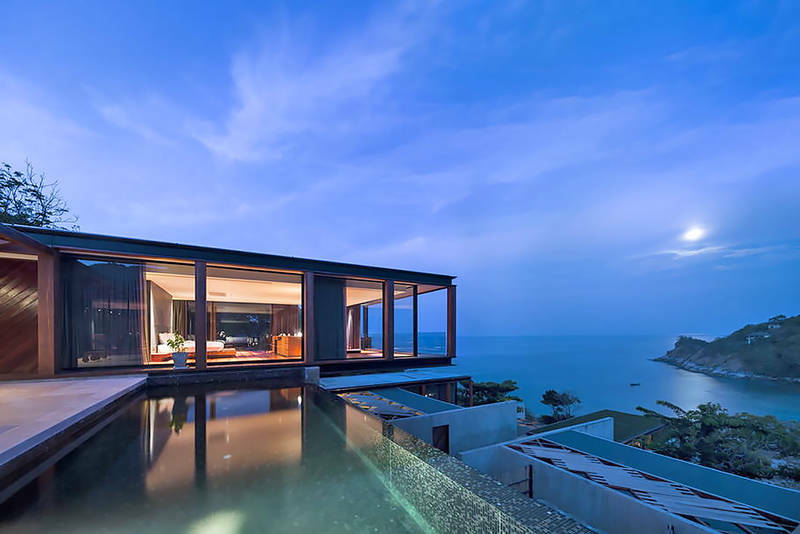 Here are three Phuket villas you will absolutely adore! 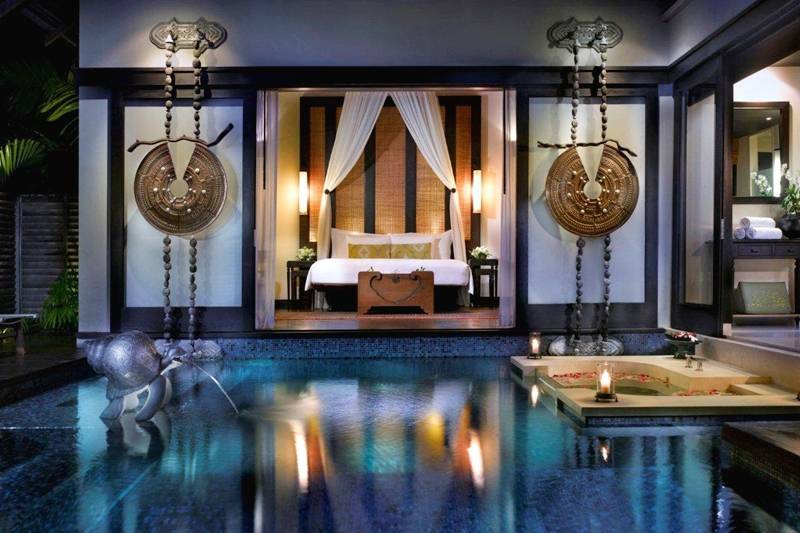 SALA Phuket is a private nirvana you’ll never want to leave. Once you check into your SALA Pool Villa, you’ll realize you are in heaven on earth. Villas are luxurious and air conditioned, but you’ll probably spend most of your time cooling off in the pool. The beds are ultra luxurious the coffee and tea-making accessories add nice touches. 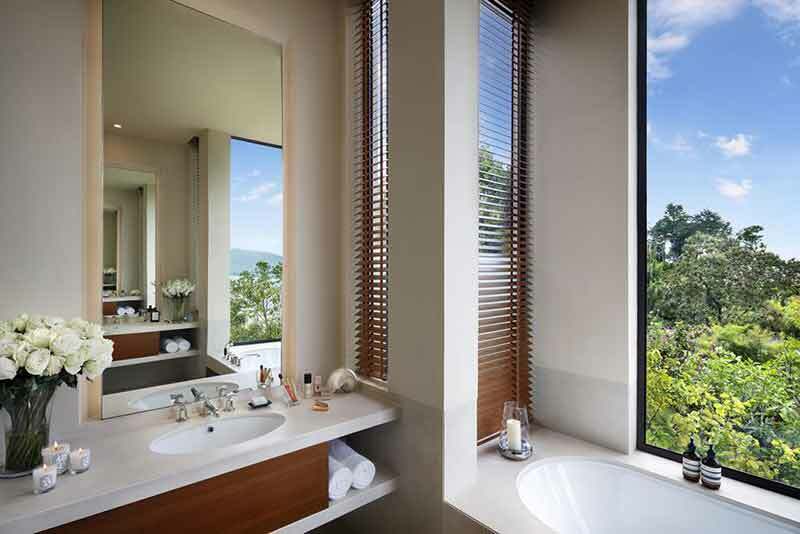 The NAKA Phuket at Kamala Beach is a lush hidey hole for luxury lovers. 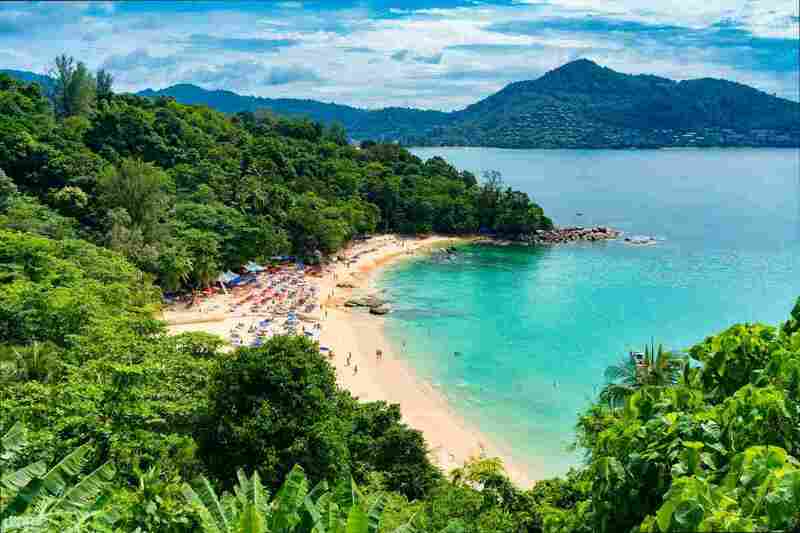 Kamala Beach is only about a 15-minute drive from Patong, which has a mind-boggling array of activities when you’re in the mood. The Naka’s allure lies in its location and accommodation. It’s near enough to the action for partying and shopping yet far enough to be your own oasis away from it all. There are One-Bedroom, Two-Bedroom, and Three-Bedroom Villas: with superb views of the ocean and only steps away from the beach. You’ll think you’re royalty as you lie back in your king-size bed staring out at the view. These are pool villas that are sure to impress! 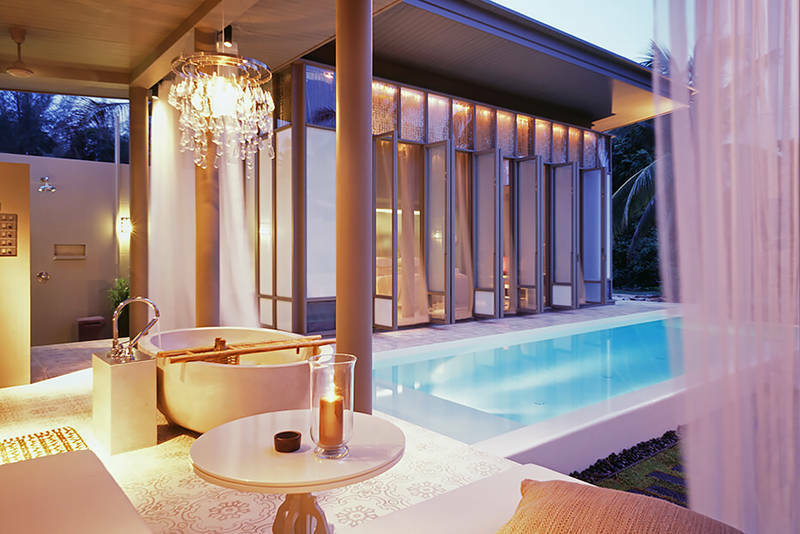 Anantara Phuket Villas is located on Mai Khao Beach near to Sirinath National Park. Pick a private Pool Villa for a luxury stay. The resort is designed like a Thai village, with waterways, paths and clever use of timber and natural materials. Check in and chill out around the pool. This is one place you definitely will want to stay forever! Looking for more villas in Phuket? Check out this post. Being the largest island in Thailand, there are lots of places to stay in Phuket. Most people head to the beach but don’t overlook Phuket’s atmospheric Old Town. Here’s where to stay in Phuket. Patong is the primary tourist spot in Phuket, and the streets of Patong are packed with color. You’ll find pubs, lady boys, tailors, ping pong shows and heaps of shops. 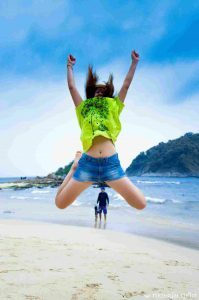 Patong beach is the place for action both day and night. The market has an array of fake “designer” clothing, purses, handbags, and shoes. There are watches, wallets, clothes, sneakers, and hats. Most of the market vendors seem to sell the same items so you need to bargain. I’d describe Patong as frenzied or organized chaos, even in low season. But in high season, you’ll definitely find action here. 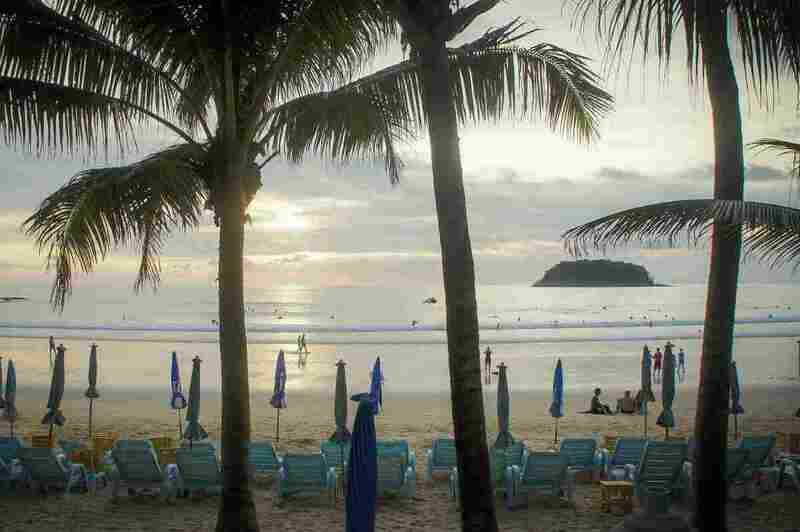 Karon isn’t as frantic as Patong and some call it “Patong’s Little Sister”. Being only 20 minutes away from Patong, Karon is far enough away to get a peaceful vacation but close enough to the action you won’t be bored. In Karon you’ll discover a selection of little shops and markets, a pub or two and lovely little restaurants. There aren’t too many ladyboys or ping pong bars. The majority of bars are around Patak Road so if you stay away from that area, it’s reasonably quiet. For shopping, check out Karon Bazaar, as it’s always interesting to roam around looking for gifts to take home. Phuket city is situated in central Phuket and is a bit away from the tropical beaches. However, it has its own atmosphere of new and old. 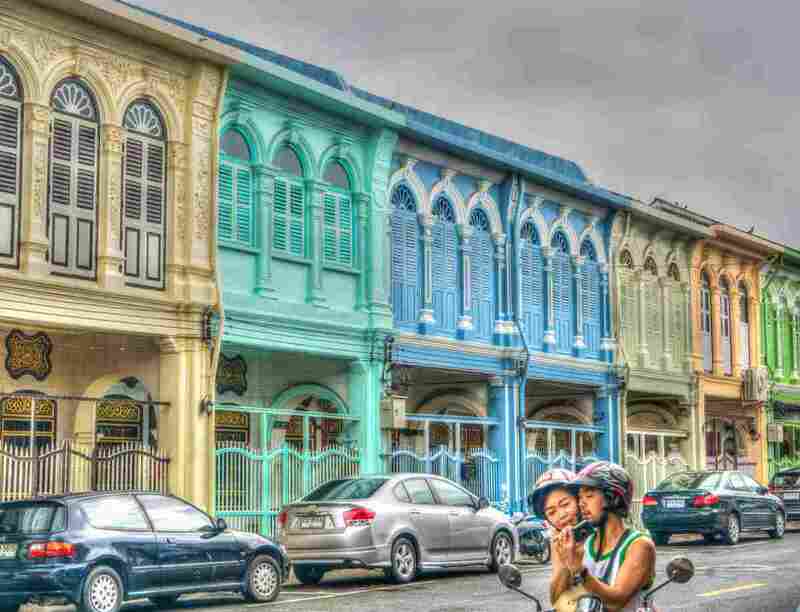 The center of Phuket city is its Old Town or Thalang Road, which is lined with 19th-century shophouses and Sino-Portuguese buildings, which constructed in 1903. Phuket city is quite busy from dawn to dusk with markets across the principal streets and an adequate quantity of restaurants and pubs for people who like a little nightlife (although less mad a Patong).